Amazing rare giant Hawaiian Sunrise Shells! 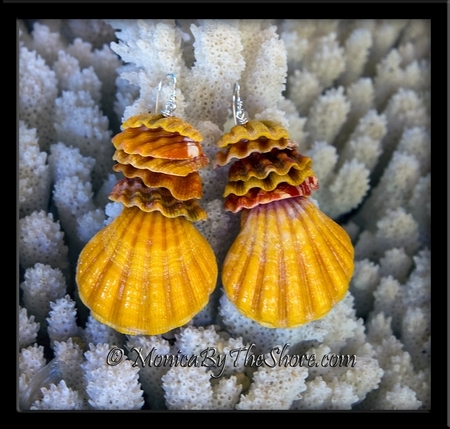 These beauties found on the North Shore of Oahu, with colorful Sunrise Shell chips that were found near a tako (octopus, the natural predator of the scallop) hole by my son, Chris, while diving in the waters off the island of Molokai. 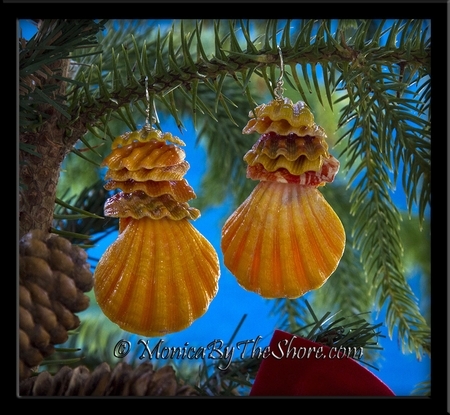 Each giant shell is 1 1/2 inches, total dangle length of earrings is 2 3/4 inches! Sooo Special! Jaw dropping beauty in these magnificent giant Sunrise Shells and chips, natural "Surf Art" from Mother Ocean!